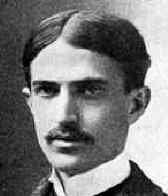 Crane, Stephen, American writer, was born at Newark, New Jersey, on the 1st of November 1870, and was educated at Lafayette College and Syracuse University. His first story, Maggie, a Girl of the Streets, was published in 1891, but his great success was made with The Red Badge of Courage (1896), a brilliant and highly realistic, though of course imaginary, description of the experiences of a private in the Civil War. He was also the author of various other stories, and acted as a war correspondent in the Greco-Turkish War (1897) and the Spanish American War (1898). His health became seriously affected in Cuba, and on his return he settled down in England. He died at Badenweiler, Germany, on the 5th of June, 1900. A hopeful young woman who turns to the streets to get away from her cruel family. She meets a hustler and begins to trust again, but is betrayed. Set during the Civil War, Henry Flemming joins the Union Army and is forced to confront his fears.